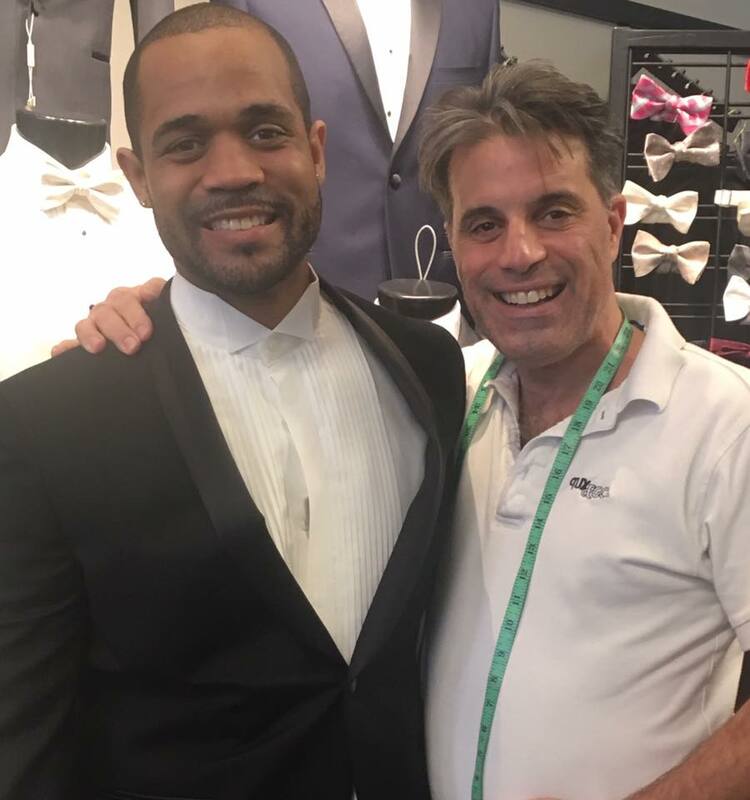 Today, my fiance and I met with Tony Commisso, owner of Tuxego: Tuxedos and Formal Wear. Mr. Commisso greeted us at the door with a warm embrace and a smile, making us feel like family from the start. Ever since we won the Mazzone COTY contest, mentioning Tony Commisso’s name always elicits the same reaction from those who know him: a warm smile, and copious praise. We quickly saw for ourselves that Tony was an amazing guy who truly loves what he does, helping people to look and feel their best. We knew that we were in good hands. Walking into Tuxego felt like being invited into Mr. Commisso’s home. Tony had pictures up all over his shop from his own wedding, and others of his friends and family decked out in the finest formal attire. Seeing his pictures reminded me to keep everything in perspective, and to remember what this day is really about; celebrating our love with our closest friends and family. I always had an idea of the style and visual impact that I was going for, but no idea how to match that to the various styles and designs offered at Tuxego. I knew that I wanted a classic, timeless look for my guys and I… one that fit our Harlem Renaissance theme and time period without being too plain, or too ostentatious. Somewhere between the costume design of Michael Jackson’s Moonwalker, and Eddie Murphy & Richard Pryor’s Harlem Nights. With just a few words of inspiration, Tony, the artist, got to painting. 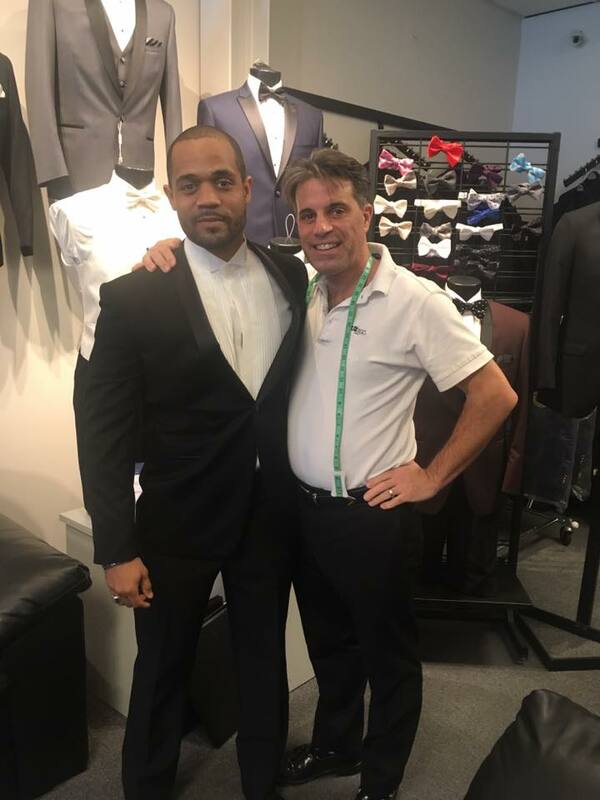 He explained to me the different Tuxedo styles, what time periods they best represented, patiently clarifying the difference between a peak, notch and a shawel collar to me about 47 times, and then helping me paint a picture to fit my vision. Tony’s ideas helped me to find that perfect balance that I was seeking, while providing sound advice for each choice with good humor, dissipating any anxiety that I felt walking in. With most of my guys out of state and even across the country, I was concerned how fittings and everything would work. Tony eased my mind with a story of how he was able to provide full service to a wedding party with members living in New Zealand. 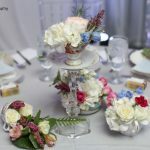 The reviews of Tuxego that I read online corroborated his claims of being able to handle Wedding Party’s all over the world, providing the same level of attention and care that I received walking through their doors. Moreover, the entire process was fun, comfortable, and engaging. 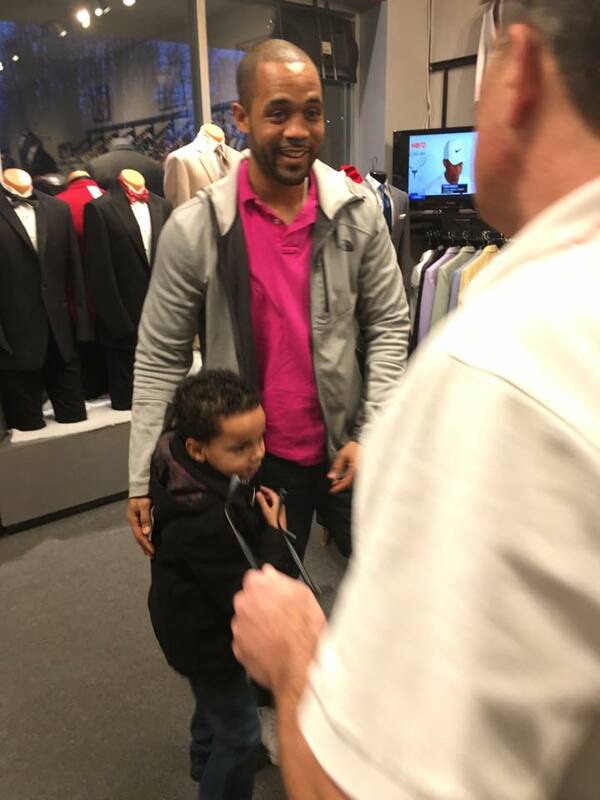 When my little ring bearer started getting antsy after his fitting, Tony was ready with snacks and cartoons to keep him occupied. These are just a few of the ways that Tuxego gives you the best of both world’s; a company fully capable of handling orders of any size and in any place, without losing the personal touch. In addition to providing sound stylistic advice based on his decades of experience, Tony also gently steered me away from such disastrous choices as going too crazy on the colors, or making each of my groomsmen’s Tuxedo’s slightly different, reminding me of the sage advice that “less is more”. After all, this is my beautiful Bride’s show, not mine. My job is to complement her, not to try and upstage her with gaudy colors and accessories. Left to my own devices the final product might have been more “Mo Money Mo Problems” than “Boardwalk Empire”. 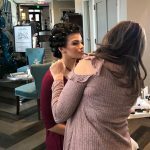 Thankfully, Tony did a great job of preventing this catastrophe by explaining the visual impact of each choice, keeping in mind the overall picture of my bride and our bridal party alongside me, in a way that made the process incredibly efficient. He truly has an artist’s eye, and I can’t wait to see the living portrait that we created together on our big day.